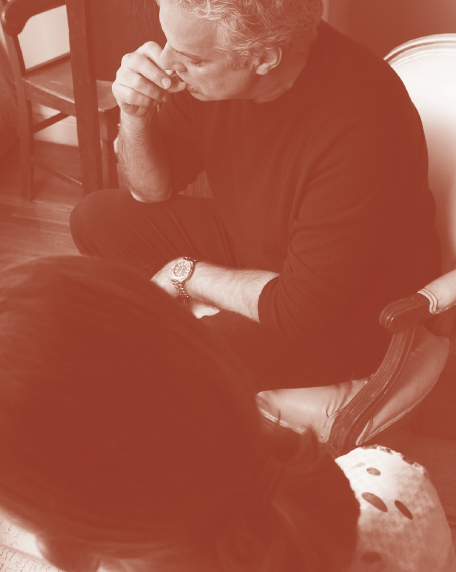 Le Bernardin chef Eric Ripert is known for his way with fish. 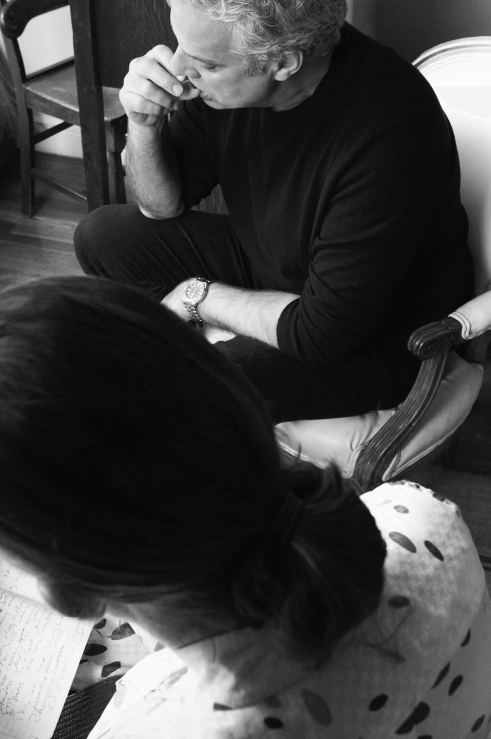 But after knowing him for almost 20 years — God help us both — I can tell you that his desert-island food is chocolate. 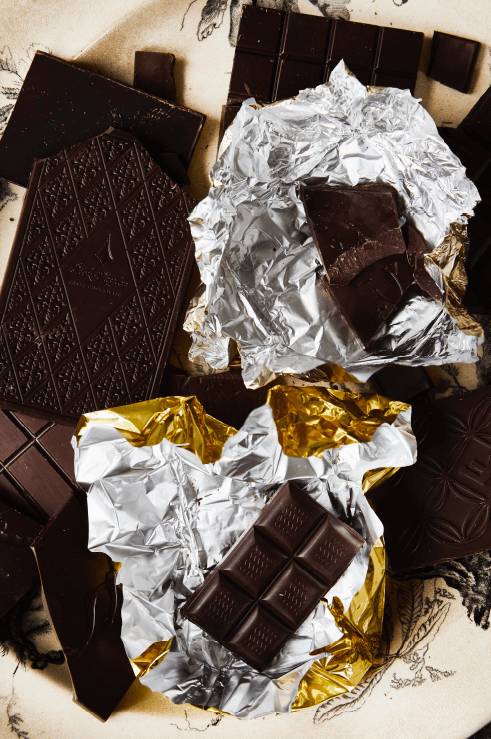 Whether nibbling leftover Valentine’s Day truffles from La Maison du Chocolat at home in the morning, sneaking fèves of Valrhona from the pastry kitchen at the restaurant, or working through the stash of Eclat bars in his office in lieu of a 3 o’clock coffee, chocolate is his one daily constant. “I don’t have breakfast. I have chocolate,” he told me. But it can’t be just any chocolate. It must be dark — no more than 72%, he says — and complex, without added vanilla or sugar. The texture must be snappy; the mouthfeel creamy but not too cocoa-buttery. He found his ideal chocolate an hour outside of Philadelphia, of all places. There, Christopher Curtin makes incredible bars and truffles using single-origin beans, some made from a rare — as in 20 trees left in the world — albino cacao in Peru. Eric and I were working on a project in 2010, just as he and Anthony Bourdain were developing an addictive, nib-studded bar with Eclat called Good & Evil. For me, evil had it: I found myself breaking off tastes of the limited samples whenever Eric left his office, and cadging and stockpiling bars after its release. I don’t know if it’s inappropriate because of #metoo, but this chocolate is more…masculine. 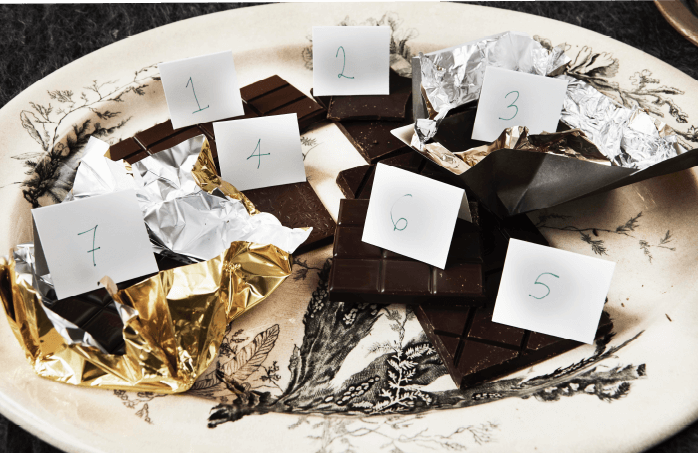 That chocolate is still my ideal, but I’ve rarely brought myself to order the $12.95 bars, available exclusively through Williams-Sonoma. I’m rarely without a few single origin bars from SF-based Dandelion Chocolate in the cupboard (I’m partial to beans from Madagascar for their floral, red-fruit notes), but so many bean-to-bar chocolate makers have entered the field — even in the year since I judged the chocolate category for the Good Food Awards — it seemed crazy not to explore. So I invited Eric over for a blind tasting. To source almost all of the 10 bars, I went to The Meadow, which sells chocolate, salt, flowers, and cocktail bitters. (They’ve heard all the Portlandia jokes: They’re from Portland.) Former Le Bernardin pastry chef Michael Laiskonis, who’s now the creative director at the Institute of Culinary Education — where he teaches chocolate-making classes for amateurs — dropped off some of his newest confections, including one made with brown butter and maple. And for fun, Manresa chef David Kinch, to whom Eric introduced me back in, like…Jesus, never mind…sent a box of jazzy bonbons from a chocolate pop-up he’d just done. Afterwards, we sampled the fancy filled chocolates from Manresa (the pretzel + olive oil!!! ), then had a knock-down lunch at King, with a bottle of Domaine Hauvette to take that cacao edge off. And, of course, all of the desserts. 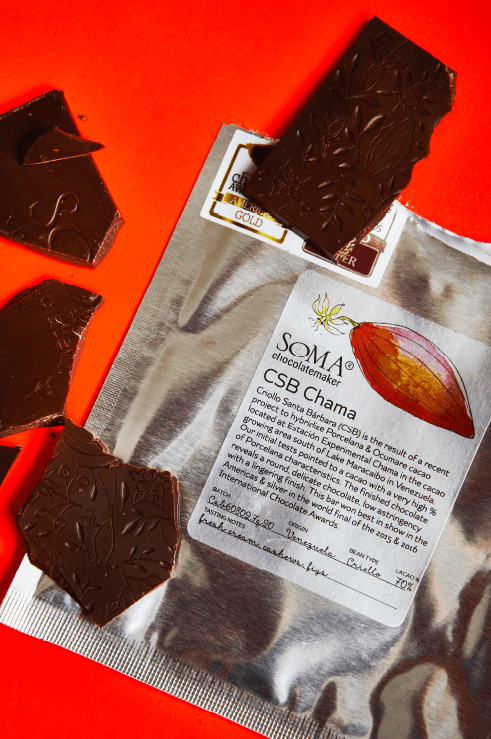 SOMA CSB Chama This limited-edition microbatch chocolate is made from a clone of the rare albino cacao used by Eclat chocolate, which might just be why Eric loved it so much. Elegant, lightly floral. And special-occasion expensive! K+M 75% EcuadorI must admit, I was secretly hoping that Eric would diss this bar, made by chef Thomas Keller with a hint of Armando Manni’s extra-virgin olive oil. But once I tasted the woodsy, “masculine” chocolate (to use Eric’s words, above) with its silky mouthfeel, I had to love it, too. Pralus ChuaoEarthy and balanced — though Eric detected a little added sugar. Michael Laiskonis India Okay, so you can’t buy this bar, but know that it’s very cool that the beans are sourced from India, which hasn’t been in the cacao game…until now. Belize 70%Ripe and honeyed. Just by tasting, Eric knew there was no added sugar, vanilla, or cocoa butter. He was right. In a small saucepan set over medium-low heat, combine milk and cream and bring to to a low simmer. In another small bowl, whisk together sugar and egg yolks. While whisking the eggs, temper them with a little bit of the hot cream mixture and heat to 179° F.
Pull cream and egg mixture off the heat and add gelatin until dissolved. Strain cream over the chocolate and mix until emulsified. Set aside. In a mixing bowl, combine sugar and egg whites. Place over a double boiler and mix until the sugar is dissolved. Transfer to a stand mixer, then whip until cool. Fold the meringue into the chocolate mixture, then fold in the whipped cream until completely incorporated. Transfer to a serving bowl and chill for 2 to 3 hours. Garnish each serving with 1/2 cup whipped cream and dust with cocoa powder.